We always get into scenarios to allocate permission to users like contribute permission level without the ability to delete the files. So for this scenario you can use this article has a reference. 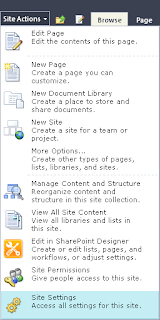 Step 5) In List Permissions un-tick the Delete items – Delete items from a list and documents from a document library. Newly added Permission level (Contribute without delete) will be now available in the permission levels. Step 7) Now we can assign the new permission level to users . Select the web application and click the Authentication Providers in the ribbon. In Edit authentication, enable the Anonymous access. After you click save, the web application will allow Anonymous access to be set, but you have to set this from the actual web application also.